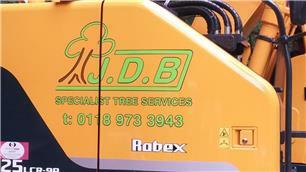 JDB is family business established in the early 1970’s and offer tree surgery, land clearance and conservation work. All our staff are fully qualified NPTC (Merrist Wood Trained). For over 40 years we have offered a wide range of services, offering expertise with customer satisfaction in everything that we do. From large scale projects to domestic work we have the right equipment for every job and our fully trained team are insured to carry out even the most challenging of tasks. As a result, we have a large customer base of both domestic and commercial customers including local authorities, schools and colleges. We are insured to 10 million and members of the Arboricultural Association, Checkatrade & Hampshire Buy With Confidence.